Nature, Adventure, Love: CBC Calgary's the Homestretch Interview Today! 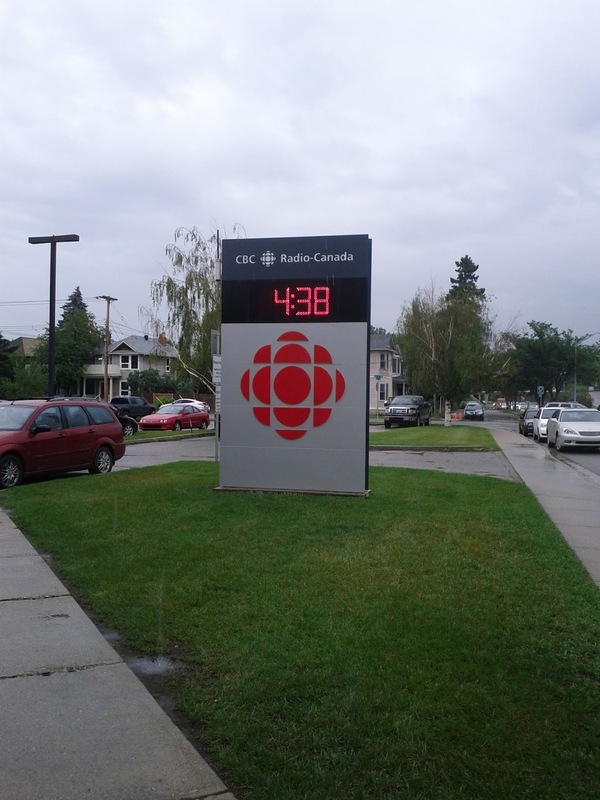 Outside CBC studio in Calgary. Happy Monday indeed! Today was an awesome day, I was interviewed by Chris dela Torre on CBC Calgary's radio program the Homestretch at 4:22pm! Do you know how excited I am about this?! CBC is one of my "happy places!" I am team-teaching a pre-festival workshop at When Words Collide on how to write sexual tension with Lorraine Paton. Lorraine and I are members of the Alberta Romance Writers' Association, who is the affiliate writing group for the pre-festival workshop. The workshop is $10 and no conference pass is required! Although, When Words Collide is a fantastic fiction festival/conference and a steal at $65 for the three days! Join us August 9-11 at the Carriage House Inn in Calgary. I was excited...and maybe a tad nervous for the interview, but I had a great time! Seriously, the team at CBC Calgary is fantastic! Thank you all for making me feel so at home and comfortable! You guys are awesome! For more information on how to write sexual tension, join us at the workshop! and sign up for the workshop here: http://www.whenwordscollide.org/affiliates.php.